Somewhere near the prestigious Tsinghua University in Beijing, China’s capital city, lies a large and beautiful park that contains a couple of ruined rubble on its outskirts that may resemble classical Greek architecture to any onlooker. Most foreigners know little about this ruined area and its serene park, but not to the Chinese. At the height of its grandeur, this park in the north-western parts of Beijing was once known as the Imperial Gardens, constructed during the 18th and 19th centuries by the Manchu emperors who reigned China during the Qing Dynasty. Its name in Mandarin was the Yuen-Ming-Yuen (圓明園 / 圆明园) – the ‘Gardens of Perfect Brightness’. The entire area was split into three gardens and covered an area of approximately 860 acres. That is more than thrice the famed Forbidden City at the heart of Beijing, and eight times the size of the Vatican City in Rome. The palace construct within the park was said to be an architectural wonder, known for its extensive collection of gardens, and numerous historical treasures and art. The Manchu emperors delighted in European styles in some parts of the compound as they found them to be exotic, and the designs and construction were assisted by the Jesuits Giuseppe Castiglione and Michel Benoist. The result was an eclectic and elegant mix of European and imperial Chinese styles that few would have been able to witness, appreciate and describe in those days and even today in the 21st century. However, during the Second Opium War 158 years ago, the Qing government was defeated by Great Britain and France, and a combined Anglo-French expeditionary force marched on the Qing capital, destroying towns and killing civilians along the way after the Manchu armies withdrew inland. The expeditionary force entered the Imperial Gardens and extensively looted the palaces. It later wantonly burnt and destroyed the entire complex when negotiations failed. It took them three full days to do so. ‘I was dumbfounded, stunned, bewildered by what I had seen, and suddenly Thousand and One Nights seem perfectly believable to me. I have walked for more than two days over more than 30 million worth of silks, jewels, porcelain, bronzes, sculptures, [and] treasures! I do not think we have seen anything like it since the sack of Rome by the barbarians’. The plundering and destruction of Yuenmingyuen was considered an act of ‘cultural assassination’ that even famed French writer Victor Hugo condemned during his lifetime. Yuenmingyuen’s ruins in Beijing today stand out in ugly contrast with modern skyscrapers and an urban metropolis, almost symbolising the tombstones of the last imperial dynasty of China. The second Opium war ended with the Qing government signing a peace treaty with Britain and France, footing for the costs of the war and offering other concessions as part of the deal (including ceding present-day Kowloon to Britain’s territories in Hong Kong). This historical event kick-started the era of reform within the Qing empire over the next four decades that culminated in the rise of many reformers including the famed Dr Sun Yat-sen. The destruction of Yuenmingyuen is all but forgotten in the West, but it is steeply embedded in the Chinese consciousness. Mainland Chinese are taught about this event in schools, and it is inextricably linked to the Opium Wars, which still colours their views of the West till this day. One may disagree as to how they interpret the historical event, but it is vital to understand the lenses they use and context they operate under. To them, it was one of a series of events in 19th century history that marked the times that the West imposed their rules via gunboat diplomacy onto an ancient but technologically-inferior civilisation that refused to accept the rules of a new international order. high levels of ethnocentrism would only lead to misunderstandings and clashes. In the 19th century, these clashes resulted in the technologically superior party triumphing over the other (Britain at first, and later France, Germany, Tsarist Russia, the United States (US) and Japan). In order to catch up with their peers/rivals, they need to be open-minded and humble to learn from others. However, they look a long time to realise this as their Manchurian overlords (the Qing imperial government) were the dominant power in Asia for centuries and were slow to accept that they have become obsolete. The early Chinese reformers during the last days of the Qing Dynasty like Dr Sun Yat-sen took inspiration from both the US and Japan. While attempting to learn from others, adaptation is required to ensure that the new concept or system is unique and appropriate for Chinese civilisation and its continuity. Most importantly, they have to strive towards being technologically superior than others as the memories of having their arms twisted are very much alive in the Chinese psyche. All subsequent events in their history since the collapse of imperial rule at the turn of the 20th century has been a constant pursuit of the above pointers, whether it was the tumultuous period of the Kuomintang of the 1920s and 1930s, or during Mao Tse-tung’s communist regime whereby ‘Sovietisation’ and radical Maoist policies were incepted and implemented. Following the death of Mao and the return of Teng Hsiao-ping to power in the late 1970s, Teng was guided by these pointers, being pro-active to seek out partnerships with ‘capitalist devils’ like America and striving to seek progress in a pragmatic and gradual manner that is unique for China’s circumstances. This approach has continued to this day in Xi Jinping’s 21st Century China. Why & how does this matter? 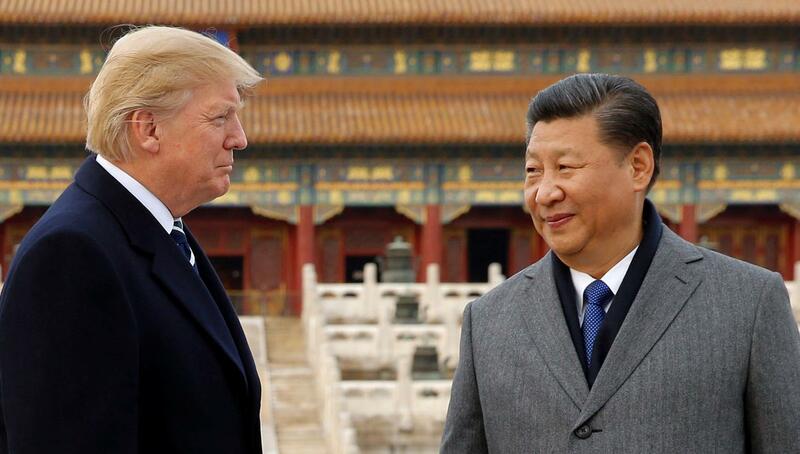 The attention on Sino-US trade tensions this year has many pundits and market watchers debating which side will triumph or ‘give-in’ to the other first. The recent situation over Huawei’s Chief Financial Officer has only served to increase the attention that investors all around the world pay to the ‘Trade War’ narrative. Financial markets worldwide are now myopically focusing on this narrative and attempting to price outcomes based of perceived odds of the situation. The Trump Administration’s ’90-day’ timeline as well as the US President’s endless tweets only exacerbates the focus on whether a deal would be made between both countries. However, it is a difficult task to predict. Epsilon Theory’s Ben Hunt’s opinion is one which I have to agree with – that it is impossible to precisely determine the odds of this ‘game’ that China and the US are involved in. But for those who are inclined to understand the dynamic between China and the US, understanding the past two hundred years of China’s history is imperative to know the context Beijing operates by. It is also a timely case study given that China is commemorating the 40th anniversary of reforms and the Central Economic Work Conference has kick-started. A deal or a no-deal is not the issue. Who ‘wins’ is also not the issue here. It is possible that the Chinese give in or the Americans fold first. It is also entirely possible that both sides actually do come together to form a compromise that they can both claim victory to their respective citizens. As long as Beijing policy-makers continue to be guided by those four points above, they may or may not be willing to compromise depending on the circumstances presented to them and how current variables are in line with their long term strategic goals. As long as the destruction of Yuenmingyuen still lingers within the Chinese consciousness and the Middle Kingdom, those four points above continue to guide their willpower and long-term strategy.